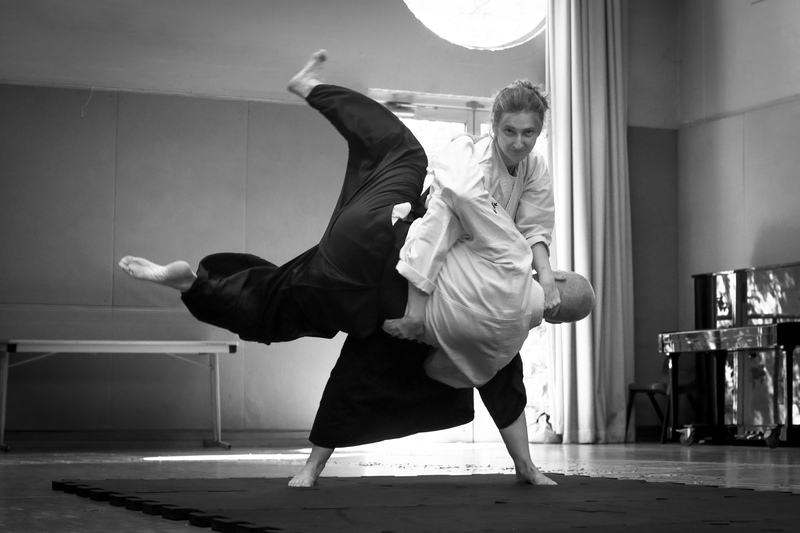 Aiki Kids classes are offered at Aikido in Sydney for girls and boys aged 8 to 12 years. Aiki Kids offers children an opportunity to embrace their inner samurai and learn real skills that develop confidence, concentration and calmness as well as fun physical abilities. It helps kids develop environmental awareness to keep themselves out of harm’s way, and equips them with the skills to respond appropriately in uncomfortable and potentially dangerous situations. Classes for Aiki Kids are held on Mondays from 5.45 to 6.45 pm at our Camperdown dojo in Sydney’s Inner West. This term this class is integrated with the Aiki Teens class. The Aiki Kids program offers children the opportunity to learn the principles and practice of Aikido at an age-appropriate level. 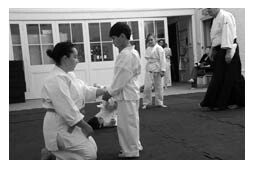 Kids have the ability to learn basic Aikido principles through exercises, games and techniques. Please arrive 10 minutes early so class can start on time. Kids must wear shoes to the dojo door. Wear loose and comfortable clothing that covers knees and preferably elbows (but a T-shirt is fine). We can provide a gi (training uniform) when you’re ready. We have years of experience teaching kids and teens and we use that experience to ensure your child not only benefits greatly from training with us, but also has a great time doing it. We provide a safe, appropriately challenging and mutually respectful environment to support students in learning at their own pace. Our training is non-competitive and non-aggressive. Instructors are accredited coaches certified through the Australian Jujitsu Federation under the National Coaching Accreditation Scheme administered by the Australian Sports Commission. Instructors comply with the requirements of the Working With Children Check administered by the Office of the Children’s Guardian.